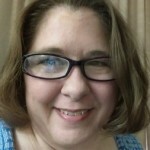 Headache disorders advocate, blogger, and mental health therapist, Tammy maintains a private practice specializing in behavioral pain management, as well as writing for her own blog, Brain Storm. She also volunteers as Vice Chair of the American Headache and Migraine Association and as President of The Cluster Headache Support Group. You can read more of Tammy's work on her blog and follow her on Facebook. Will Soaking Your Feet in Hot Water Relieve a Migraine? Can Mouth Bacteria Explain This Common Food Trigger? Why Won’t My Doctor Prescribe Narcotics? How Do You Break a Migraine That Won’t Stop? Can hair coloring trigger migraine? How Do You Stay Positive When Migraine Attacks?